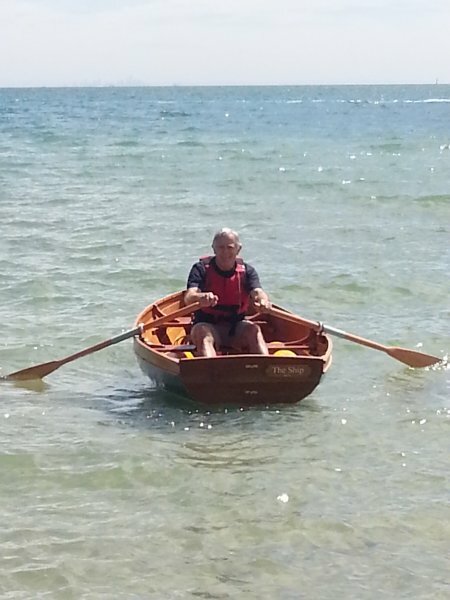 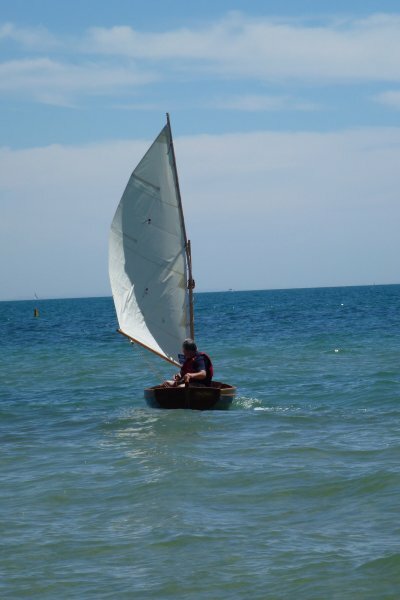 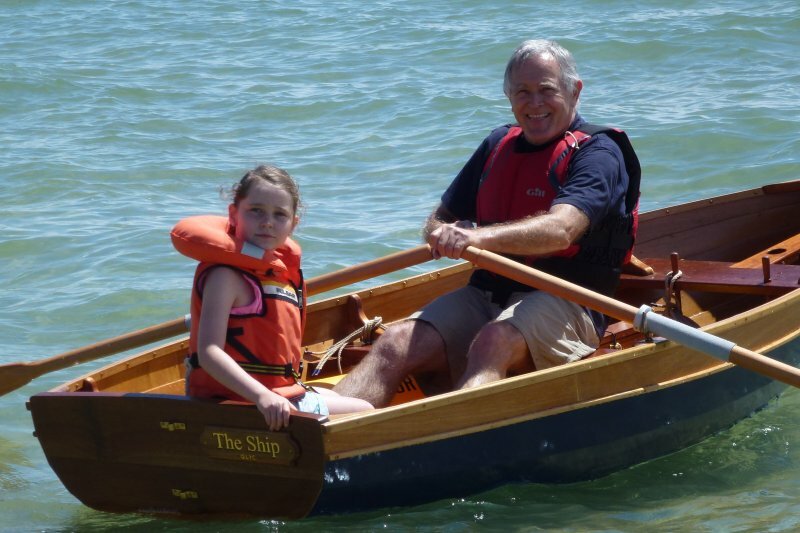 Rick Gower of Drysdale, Victoria, Australia, built this lovely dinghy from amoora and marine plywood. 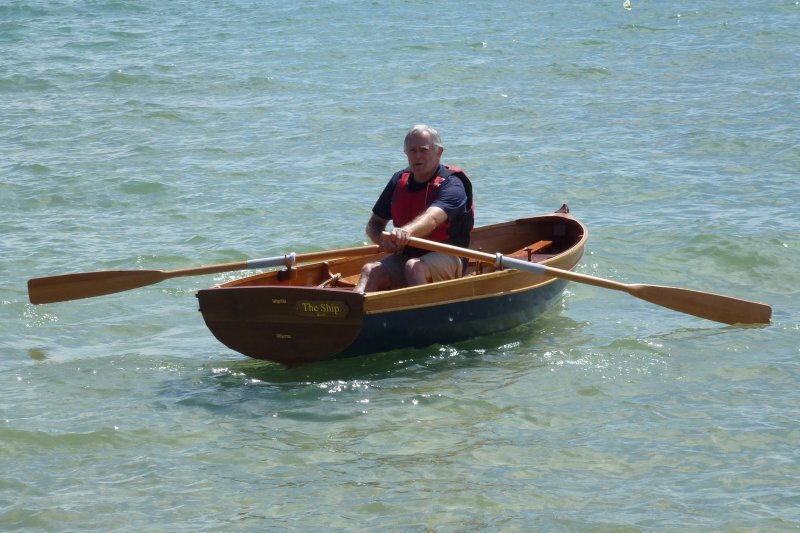 He made the knees from blackwood. 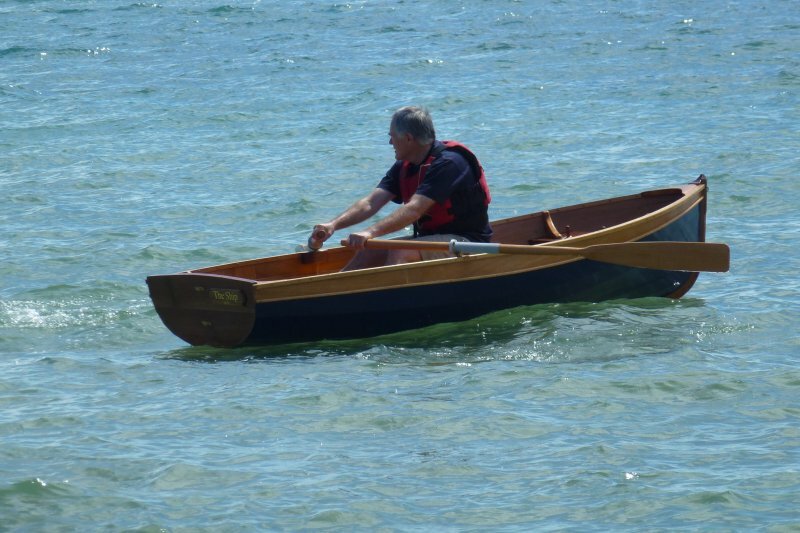 Rick plans to teach his grandchildren to sail and row in THE SHIP off the beaches of the Bellarine Peninsula near his home.